The Westwood home at 10716 Rochester Ave LA CA 90024 lasted 127 days on the market before accepting an offer on 7/15/11. Listed on 3/18/11 for $1,825,000, the home received three price reductions during the current listing term. Previously the home spent 75 days on the market in the 4th quarter of 2010 with an asking price of $1,995,000. 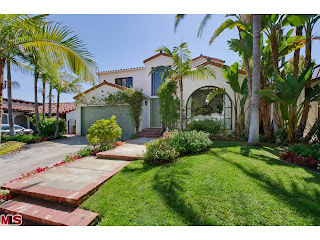 10716 Rochester Ave closed on 8/26/11 with a final sales price of $1,545,000. According to the MLS, the home is a 5 bedrooms / 4.5 baths, 3,661 sq ft of living space on a 5,880 sq ft lot.